At K. Ray Retirement Financial Services, we specialize in helping people retire comfortably. K. Ray Retirement Financial Services is a full service, retirement planning company serving Marysville, Ohio and surrounding counties. K. Ray Retirement Financial Services provides retirement, estate planning, and Medicare planning to families nearing or already enjoying retirement. Our mission is to provide the families and businesses with innovative financial strategies, in an effort to provide financial clarity, solutions, and improve their quality of life. Making strong commitments to our clients and building life-long relationships are tenets of success at K. Ray Retirement Financial Services. After a thorough and careful financial discovery with our clients, we analyze their personal financial situation – risk tolerance, time horizon, liquidity needs, and retirement goals — and create a retirement plan that is unique to their situation. 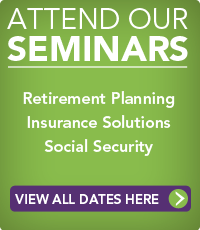 “Retirement Income Planning using Annuities"